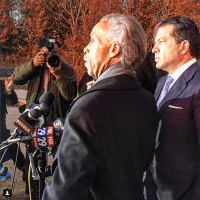 Al Sharpton is making an attempt to help rapper Meek Mill out of his current jail situation. The activist made his way to visit Meek yesterday in prison and held a conversation about reducing his probation time. Al feels he can have the rapper set free because he plans to pressure Pennsylvania authorities to not only replace the judge on his case but also reduce Meek’s sentence. Watch his press conference snippet here.